Adding vehicles to the Peugeot Display within the Museum Collection has required quite a lot of searching. 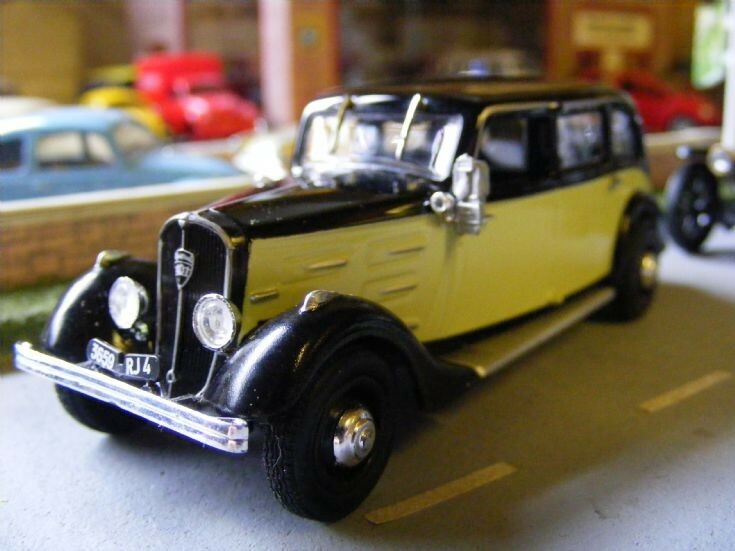 In particular early vehicles such as this 1934-35 Peugeot 401 Long which is being used here as a Taxicab. The 1:43rd scale Norev model fits well into the display and has quite a substantial amount of detailing.